An untouched scenery awaits you. Maybe one of the rare places in Europe where one gets stunned by the rugged cliff facing the sea and the shore of deserted beaches. One has got the feeling here that nature still prevails, rather than humans. 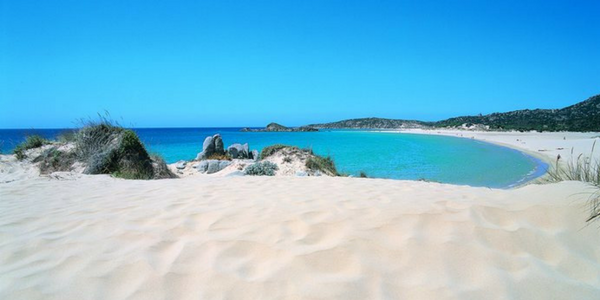 Moonscapes, bays framed by turquoise waters, threes bent by the wind, desert-like white dunes. 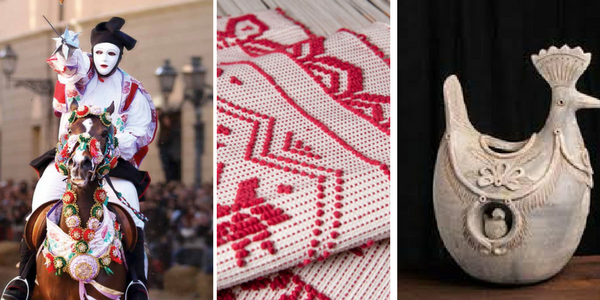 Sardinia surprises every discerning visitor with its identitarian culture that leaves its mark on arts, craftmanship, millenary traditions, gastronomy. Despite many people I meet can barely locate this island on the map, Sardinia has been often described as a “little world in itself”. The style and charachter of this island’s festivals, food and jewellery are highly recognisable and different even from the rest of Italy. Sardinia is among the 5 Blue Zones of the world, where the rate of centenarians is the highest than anywhere else. The journey to discover how the inhabitants live, what they do in their days, what they eat (and drink) sitting down for a chat with them, it’s an experience in itself. 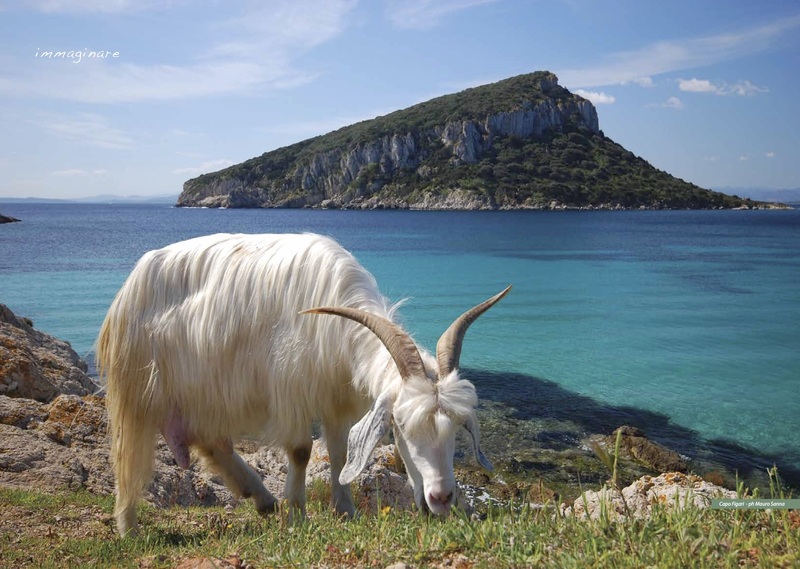 That’s why a trip to Sardinia is a trip back in time. As European we usually think we could be able to find an hidden gem only on other side of the world, far away from us, not certainly in Europe. Instead Sardinia is very close. Who comes to find out the unique soul of the place, will realize that Sardinia is a place where traditions remained intact, with an old history but with an authentic sense of hospitality open to contemporaneity. There’s no need of any sophistication, as this island is glamorous by nature. Sardinia is now a well established wine exporter with some of grapes becoming more and more known: Vermentino, Cannonau, Carignano among them. This old tradition of wine offers many chance for group programs to experience the territory: wineries, niche-wine cellars or large venues where it is possible to taste wine and get to know the whole process of wine making. Food is also a must have experience of the Island. A traditional autoctone cuisine made of simple recipes handed down from generations. A cooking class, whether with a Michelin star chef , in a Farmhouse or with the sheperds, are fantastic ways to know the soul of this island. 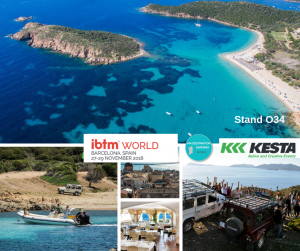 SARDINIA at #IBTMworld Barcelona – Meet us!